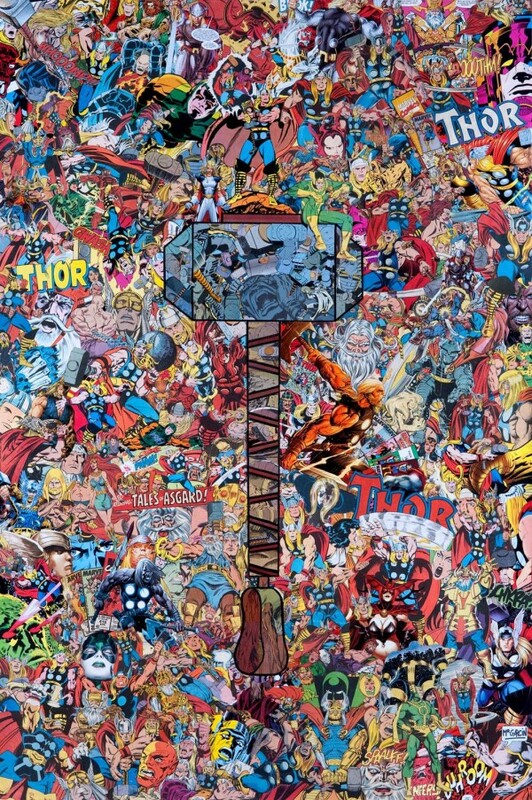 I just realized that the entirety of DC and Marvel's output is a decades-long guest comic week. The guest strip, if you're not very familiar with it, is something of a tradition in webcomics in which a creator takes a bit of time away from his/her comic (sometimes for vacation, often because they're forced to for health and/or financial reason) so they ask a few friends to contribute a strip or two. The idea is that, if you can get five or six friends to each contribute one strip, you can continue the strip's momentum when you're not able to make any updates personally. Frequently, the guest creators are given free reign to do whatever they like. Many try to match the style and tenor of the original, just using their own artistic style, but some go off to do bizarre interpretations just for the sake of providing a new take. Now think about that in the context of Marvel circa 1970. Jack Kirby and Stan Lee had been working on the Fantastic Four just shy of ten years and Thor almost as long. Regardless of where you stand on the "who did what" debate, there's no question that those books reflected their unique vision. Then Kirby left Marvel. Art chores were given to a few different guys, mostly John Buscema. About a year later, Lee took some time off to work with director Alain Resnais, so the books were written by Archie Goodwin and Gerry Conway, under the editorship of Roy Thomas. Thomas later picked up some of the writing duties himself. There's nothing inherently wrong about those issues, but they're definitely NOT the same stories that Lee and Kirby were doing. Even though John Romita tried aping Kirby's style as much as he could in those immediate FF issues, and even though inker Joe Sinnott carried through to provide some consistency, it was still a different book. It had different emphasis, different pacing. It wasn't what Kirby would've done. It was as if Kirby had called Romita and asked him to do a few guest issues. As Lee was also in charge of handing out story assignments, that is in fact literally what happened with Goodwin and Conway. Lee said he needed some time off to write a movie, and he asked those two writers to fill in for him. And that's pretty much been what's been happening since then. "Hey, George Pérez, you want to do a stint on the FF?" "Hey, John Byrne, you want to take a crack at the FF?" "Hey, Jim Lee, how about a few FF issues?" You regularly hear, when a new creator comes on to a long-running book like these, something along the lines of, "I'd like to take the character back to his roots." And the reason why that's said SO OFTEN is because everybody's interpretation of what the original creators were doing is a little different. And the key here isn't that the new guys are doing something they think harkens back to the original, but that they're not the original creators in the first place. They just stepped in to help out for a bit, while the original creator is taking a break to write a movie. Or because he needed to do some work that paid a little better. Or -- at this late a date -- because he died. 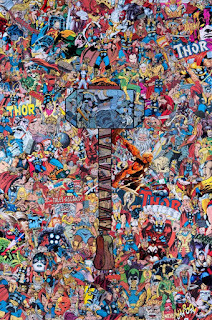 I think everyone reading this is pretty conscious of the fact that the folks currently working on Thor and the FF don't actually own the characters, but I think putting it in the context of "a decades-long guest comic week" really hammers the point home by putting a slightly different 9and perhaps more relatable) spin on the legal arguments that often get bandied about.